I’m up. 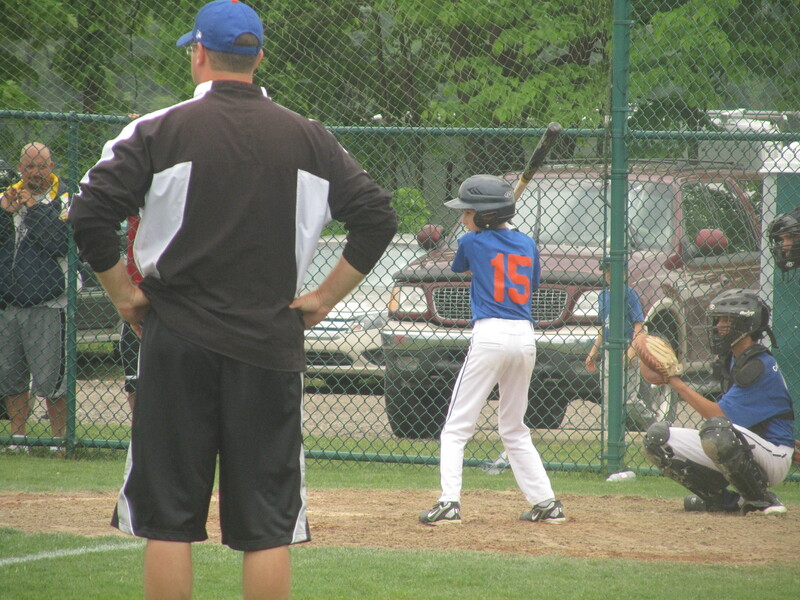 Not because my body is ready, but because we are headed off for a Wooden Bat Tournament. My boy is there, and I miss him. We were headed to Port Huron, which is on the Lake, and therefore, has its own weather. It was in the 80’s at 7:00 am, but I brought along sweatshirts and blankets just in case. But since we are on the topic of maps and lakes and all, how do you remember the Great Lakes? She Made Harry Eat Onions. 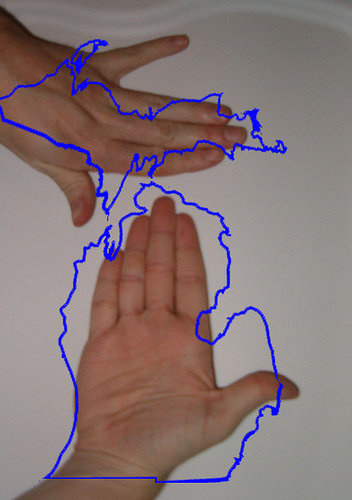 S = Superior, M = Michigan, H = Huron, E = Erie, O = Ontario. I learned that back in grade school, and it has stayed with me to this day. 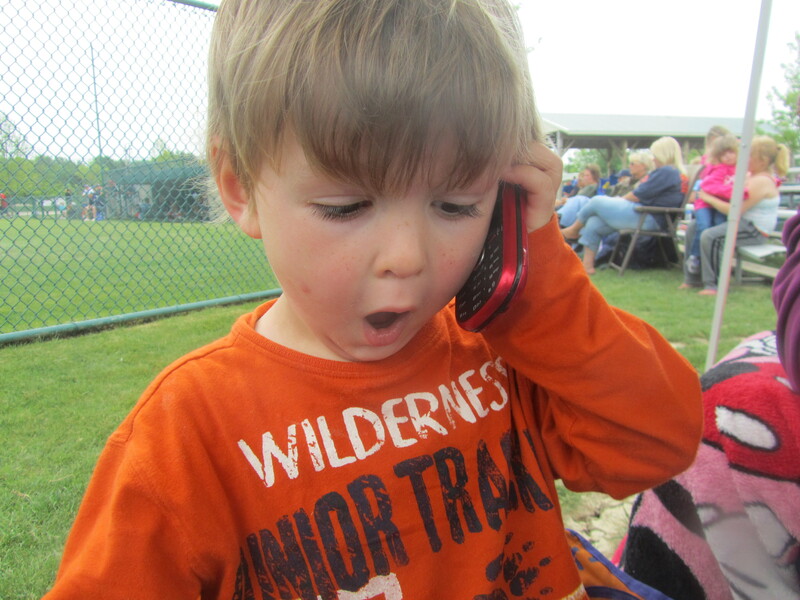 While at baseball, we called received a called from The Daddy. And do you know how I remember to spell “receive”? With this invaluable rhyme–“i” before “e”, except after “c”, and when it says “a” as in “neighbor” and “weigh”. This little rhyme can be traced back to 1866. Apparently, there is a new line to the rhyme. “And when it says “i” as in “Heigh-ho” and “height”. Of course there are always exceptions prefixes, suffixes, imported words, etc. . . Here is a website dedicated to explaining all the exceptions. The word “society” is the one word, that no matter how many restrictions they apply won’t fit into any additional rule. If you aren’t confused yet, watch this Charlie Brown Song. 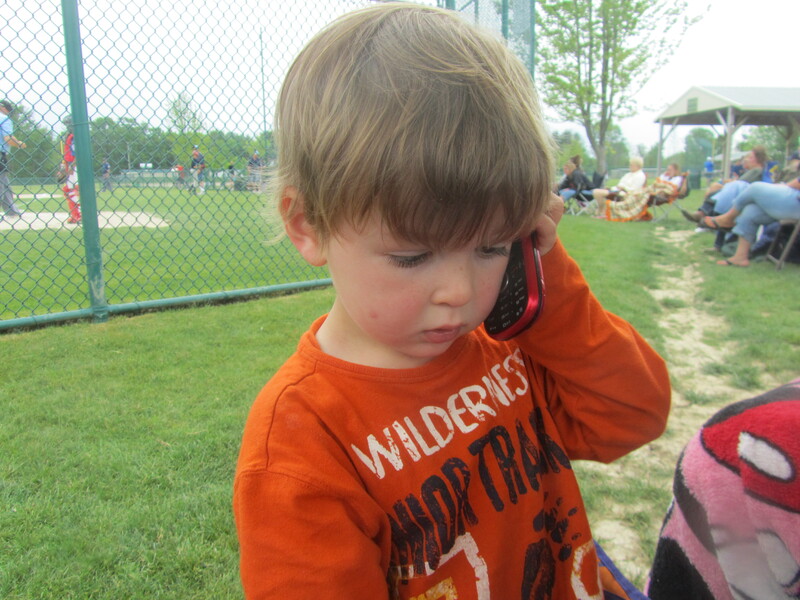 But back to the phone call. 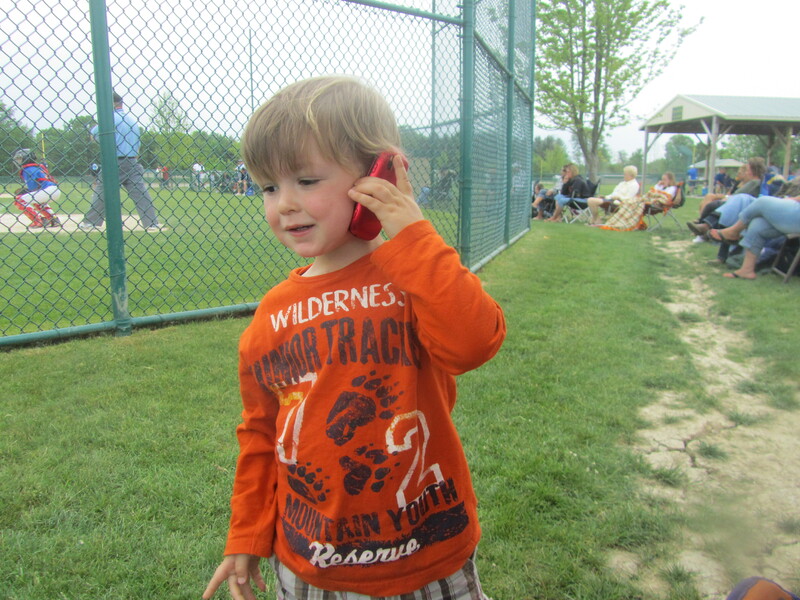 . .
Little Man loves to talk on the phone. “Oh Boy!”, he is saying. 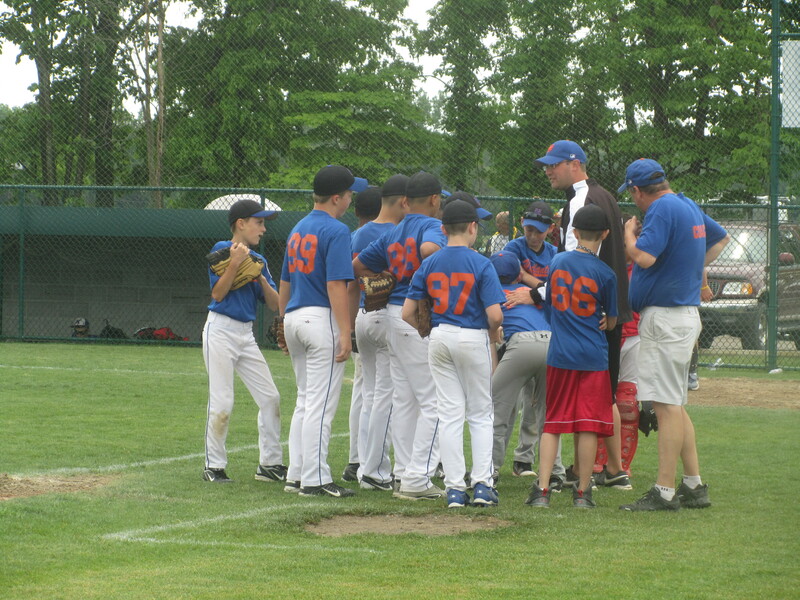 The Wooden Bat Tournament was a little more relaxed than other tournaments. I don’t exactly know why. 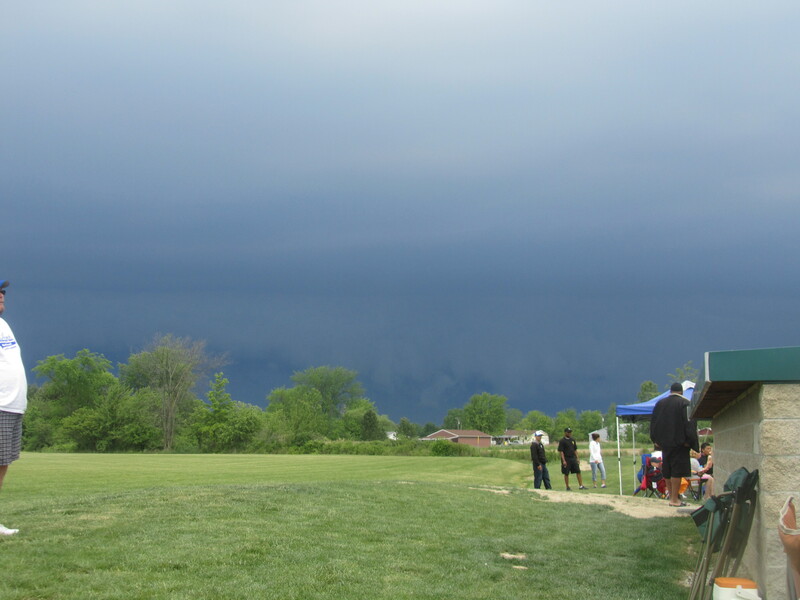 The game ended just as the first drops began to fall, then it poured, and lightening, and thundered. I was glad to once again have my family together. Tired, but happy we drove the hour and forty minutes home. I didn’t feel like cooking, so I made BUTTERED ROSEMARY ROLLS (pg. 228). They are 100% easy. 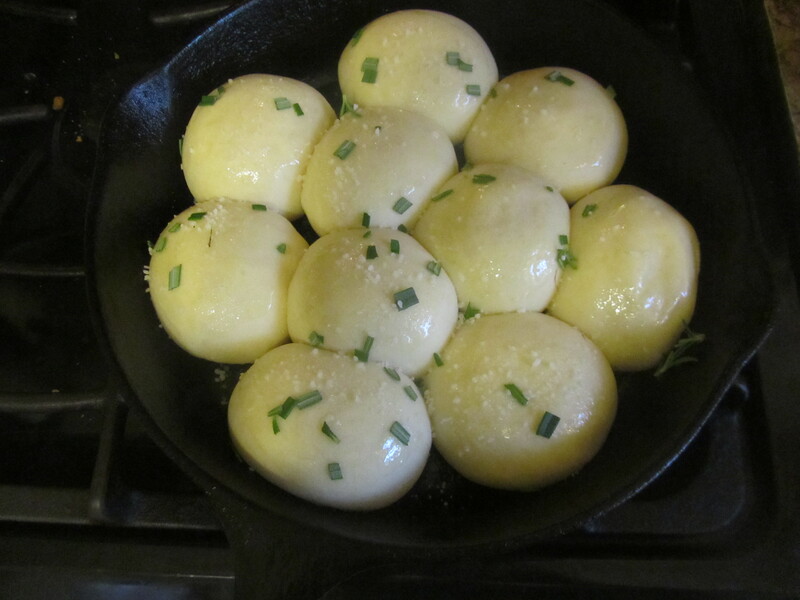 Take out some frozen dinner rolls and let them rise. Add butter, rosemary, and sea salt, and bake. You can “hurry up” the thawing process, by putting the rolls in the microwave. You just have to be very careful that they just thaw and don’t start cooking. The rolls were finished and smelling that “baked bread” smell. So good. It is a good thing I had an instant dinner because we had company–three neighbor boys. The oldest two often eat supper with us, but this time, they were watching their younger brother and brought him along also. We had the most fun with him. 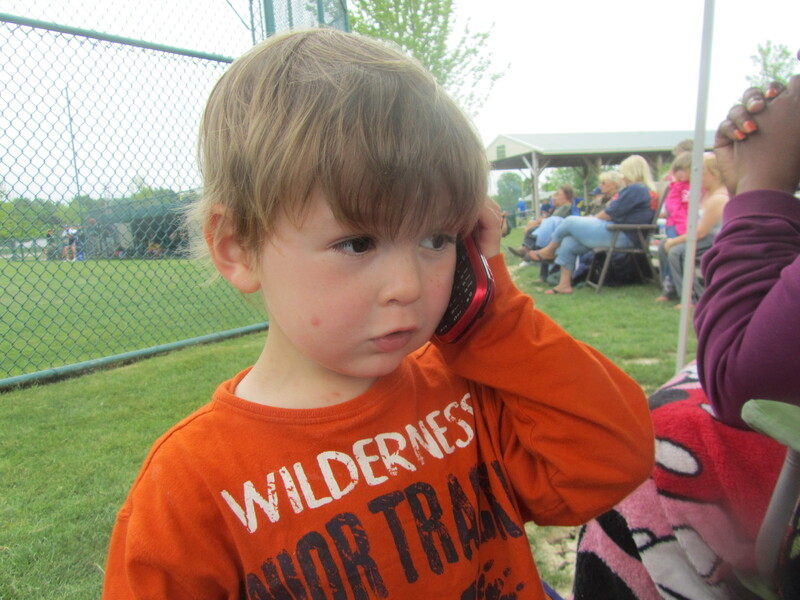 He is a little younger than Little Man and very handsome. He smiles at everything, and his whole face smiles with him. His two older brothers are SO proud of him!! My heart was warmed watching them hold their little brother on their knee and feed him. 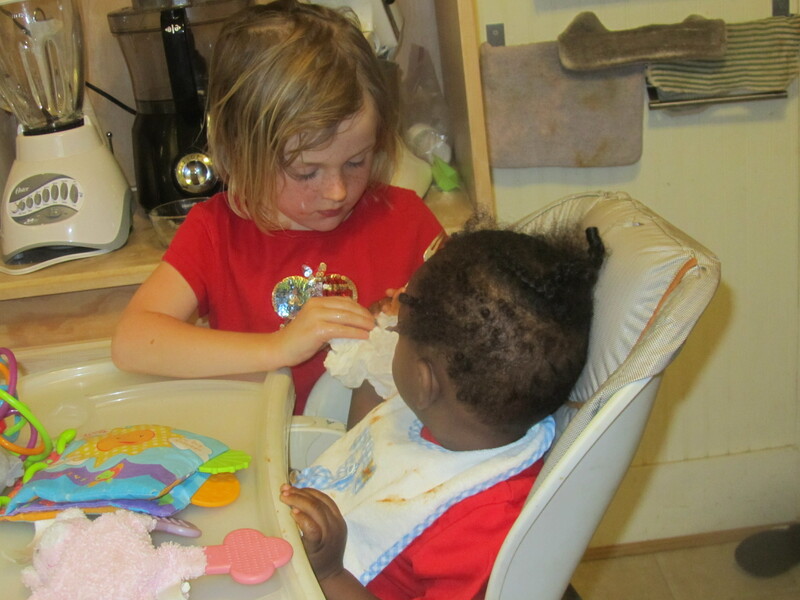 As soon as Little Man finished with the high chair, we used it for feeding. Eloise played Mommy and took over the feeding. She cooed and crooned over him, and he smiled back at her. It was a long day with a happy ending. COMMENTS: MEATBALL SLIDERS fill the hole in the stomach that baseball leaves behind. They are not an everyday meal, but rather an Instant Meal. 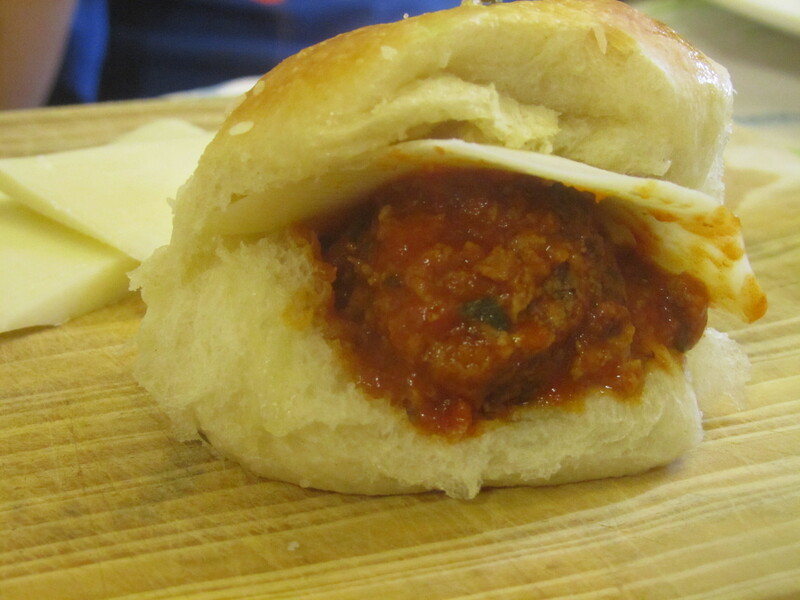 We ate home-canned apple sauce with the MEATBALL SLIDERS and pretended that we had eaten a “Fruit and Vegetable”. 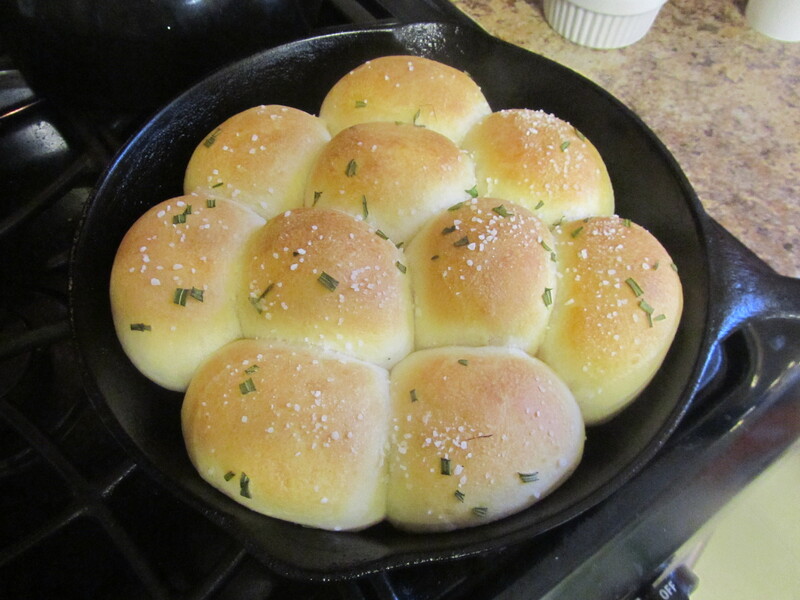 We loved the BUTTERED ROSEMARY ROLLS as they were 100% good and 100% easy. They will never replace home-made rolls, but life at My Whit’s End doesn’t always leave me time for home-made rolls. P.S. Now here is the million dollar question. What is the word that means, “any learning technique that aids information retention–such as acrostics and ryhmes.” Bonus points for spelling it correctly. This entry was posted in Recipes and tagged cooking ree drummond's cookbook, i before e rule. Bookmark the permalink. and yay for instant dinners and happy endings! . . .and you even spelled it correctly!!! Love the photos, and the rolls look delicious! Super Man Helps Every One – that’s how I was taught and I have never forgotten it…funny how we remember these things but forget that something is boiling over on the stove! !